This post focuses on the Carolina Panther Defense's Man Free coverage schemes. 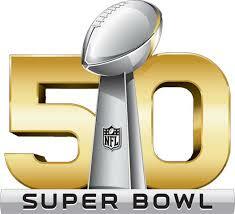 A major factor in the success of these schemes is the athleticism of the Panther's linebackers. Here the Panthers use LB Thomas Davis to walk out over the TE who is split as the #2 receiver. Davis is athletic enough to play man to man on a player split out from the formation in open space. The Panthers walk the other LB over the Center to help create 1 on 1 pass rush opportunities for the 4 down defensive linemen. 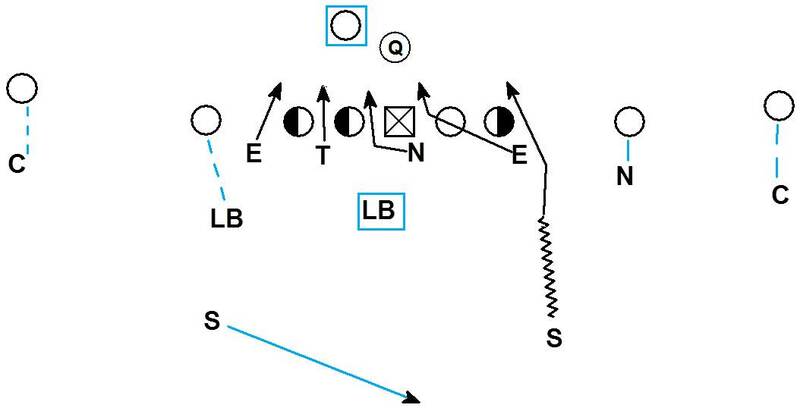 The walked up LB eventually slides off to man cover the check releasing RB. 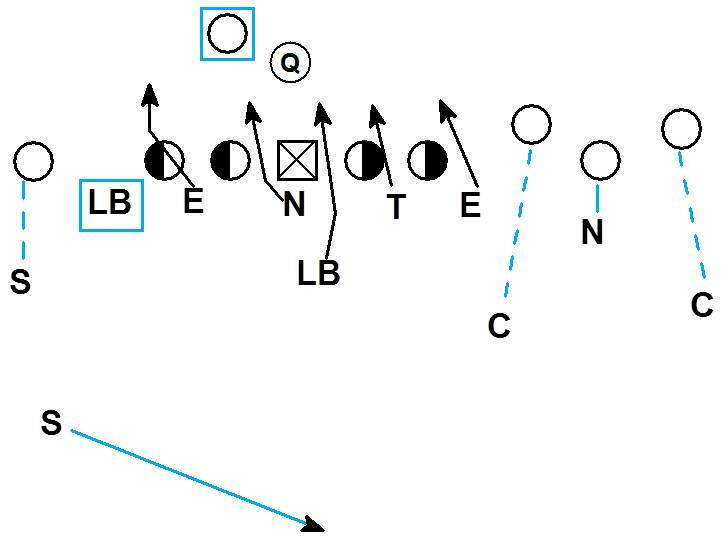 Because the Panthers can use a LB to cover the TE the weak side Safety can play a 2 on 1 bracket man coverage with the corner to the single receiver side. Here the Panthers use their base 4-3 personnel vs. a spread formation. LB Shaq Thompson is able to walk out over the inside receiver to the strong side and cover him man to man. 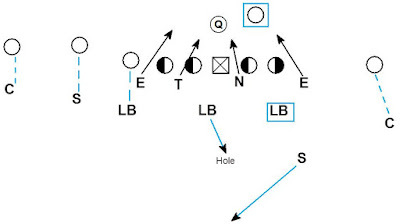 The middle linebacker is free to drop to the hole and break on the throw. In both of these examples the Panther defense has flexibility in their scheme because of the athleticism of their linebackers. Thomas Davis played Safety at the University of Georgia. Shaq Thompson was a super athletic LB at the University of Washington. He was a good enough athlete he also played running back for the Huskies. Clearly the Panthers have developed a profile for who they want to play the versatile linebackers in their scheme. Here is another example of the Panthers using a man free scheme. Carolina uses a LB and a Nickel to cover the inside receivers in man coverage. 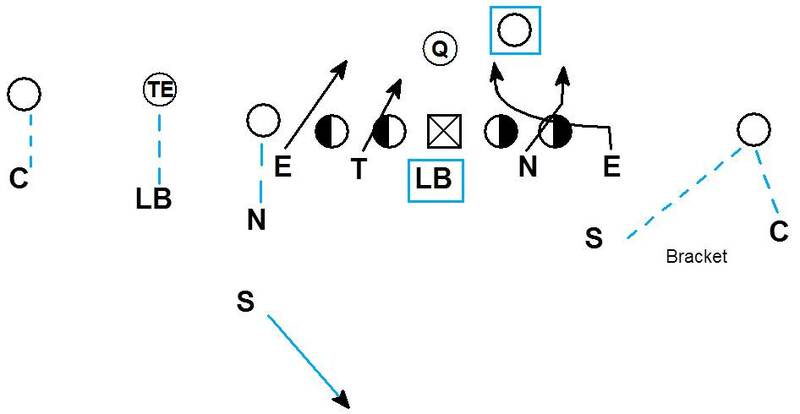 This allows the Safety to walk down from deep on the hash and blitz off the edge. 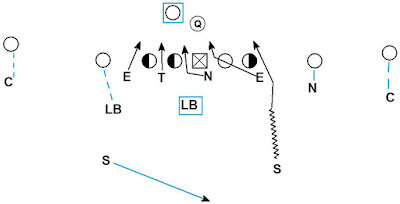 Blitzing the safety is made possible by the ability of the LB to cover the TE man to man. Here is one more example of the Panthers using man free coverage. 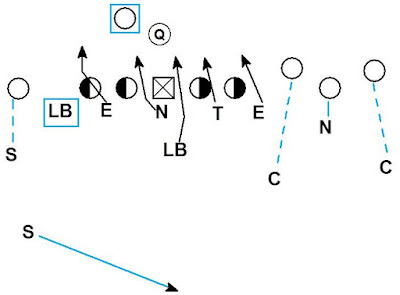 The Panthers reduce the front to a bear front alignment. By covering up all 5 offensive lineman the Panthers force the OL to block their immediate gap threat. 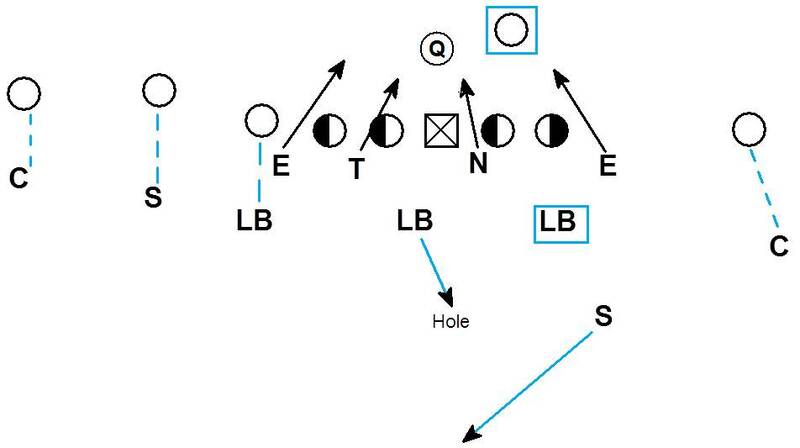 The LB blitzing the A gap becomes the responsibility of the RB. The result is pressure in the face of the QB, forcing him to move in the pocket and change his launch point. The Panthers also do a nice job of using the LB walked up outside to man cover the running back. His pre-snap alignment on the line of scrimmage forces the OT to pass set to him. As the play unfolds he slides inside mirroring the RB in man coverage and eventually adds to the pass rush. In coverage the Panthers have some confusion handling the receiver releases from the bunch formation. 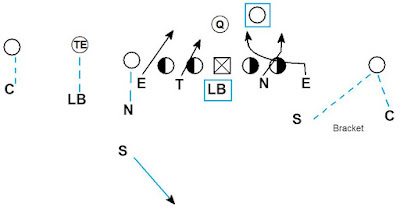 They are ultimately saved by a bad throw forced by a well designed pressure scheme up front.